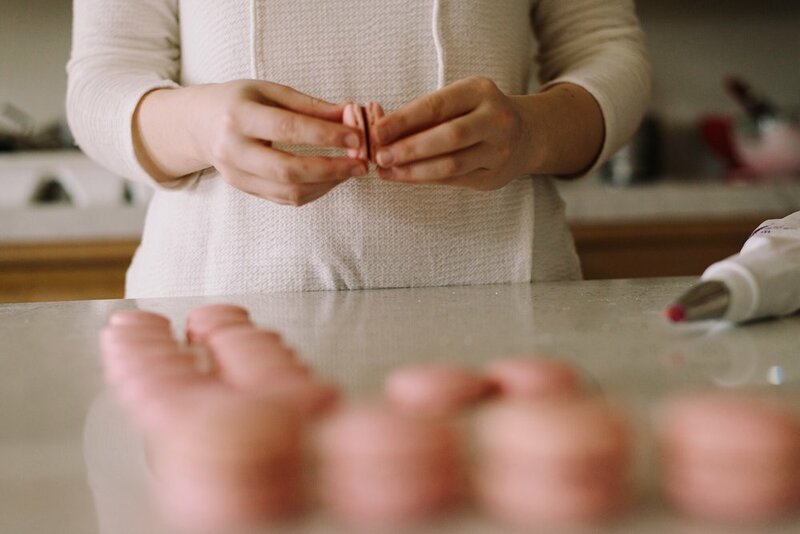 Let’s talk about the Macaron, but before we start, we should clear up a common misconception: the macaron and the macaroon are not the same thing! The Macaroon (two o’s) is a dense, chewy coconut cookie, sometimes dipped in chocolate. The Macaron (single “o”) is the delightfully sweet and delicate French dessert that consists of two colorful almond meringue shells held together by a creamy ganache filling. 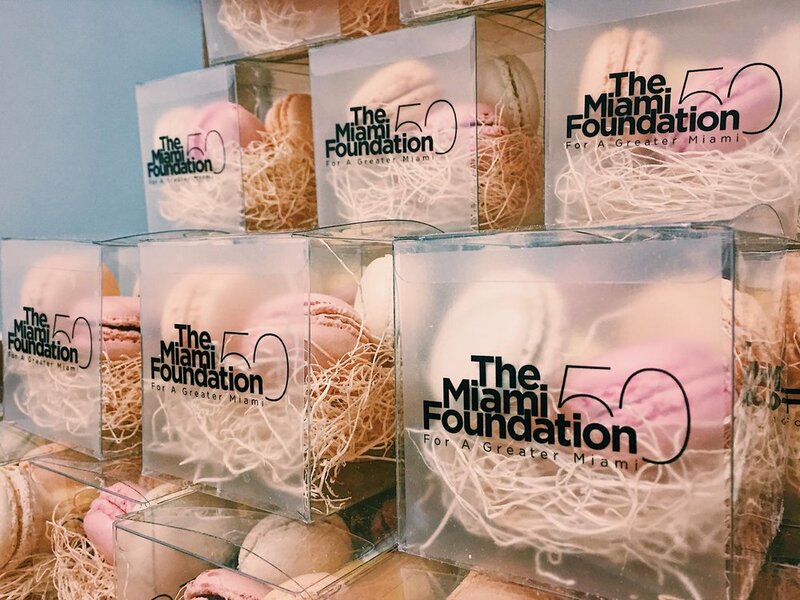 Our expert Chef Pâtissier makes exquisite macarons in the Miami commissary. Scroll down for some fun facts about this popular sweet and images of Thierry Isambert’s macarons customized for different events. Thierry Isambert’s Macarons on a late night wedding dessert table. The French Macaron has a history dating back to the Middle Ages, and there are several anecdotes from different eras featuring this popular sweet. Middle Ages: The Macaron was a humble sweet, soft on the inside, crunchy on the outside, made of almonds, egg white and sugar. 16th century: The macaron was introduced to French high society from the courts of Italy by Queen Catherine de' Medici. In Italy it was known as the Maccherone, and Venetian monasteries had been making them since the 8th century. 1792: Two Carmelite nuns in Nancy, known as the “Macaron Sisters,” made and sold macarons in order to survive during the difficult times caused by the French Revolution. 1800s - Present: For years, the recipe for the biscuit remained basically the same, with only slight variations due to individual bakeries customizing the quantities of ingredients and the appearance. The Macaron as we know it today, a smooth, creamy filling sandwiched between two meringue cookies, began in Paris in the 1830s when the term “Macaron Parisien” was coined. The Macaron become wildly popular in France in the 19th century, especially thanks to Ladurée, the luxury bakery and sweet shop founded by Louis-Ernest Ladurée in 1862. Ladurée remains a world renowned source of macarons today, with over 100 locations around the globe. Perusing the dozens of creative flavors in an upscale confectionary shop is fascinating. You can choose from the basic vanilla, chocolate , rose and pistachio, to new standards like orange blossom and salted caramel. You can also find extraordinary creative combinations from some of the famous Parisian confectioners like Pierre Hermé’s “Montebello” (Pistachio & Raspberry,) “Jardin Fruitée” (lime & red berries,) “Pomposa” (chestnut & rose,) or even savory flavors like Petrossian Caviar & Walnut Liqeuer or Hazelnuts & Foie Gras! 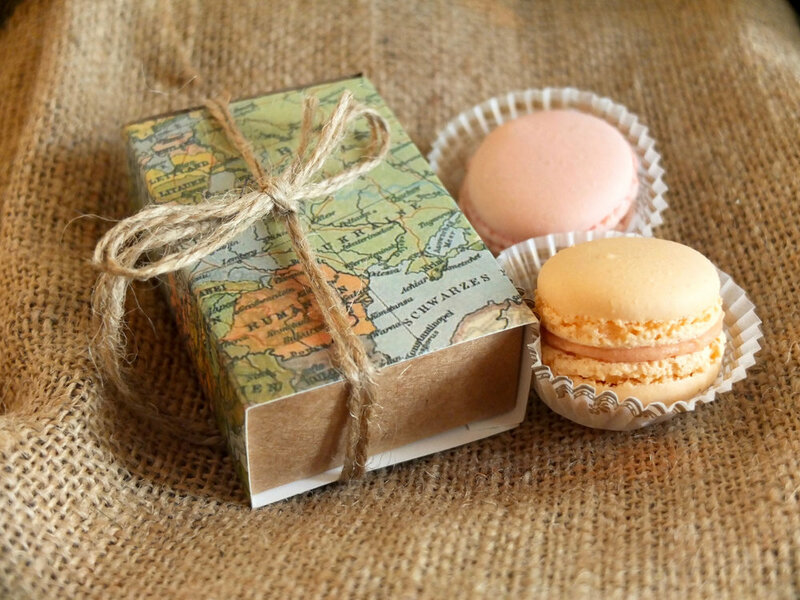 Fine tea or Champagne are great accompaniments to macarons. Champagne and macarons are a decadent, celebratory combination while a refined green tea with macarons is a wonderful afternoon treat. Green tea clears the palate between bites and evens out the sweetness of the macaron. Coffee enjoyed with the basic flavors like chocolate and vanilla is also a satisfying treat.